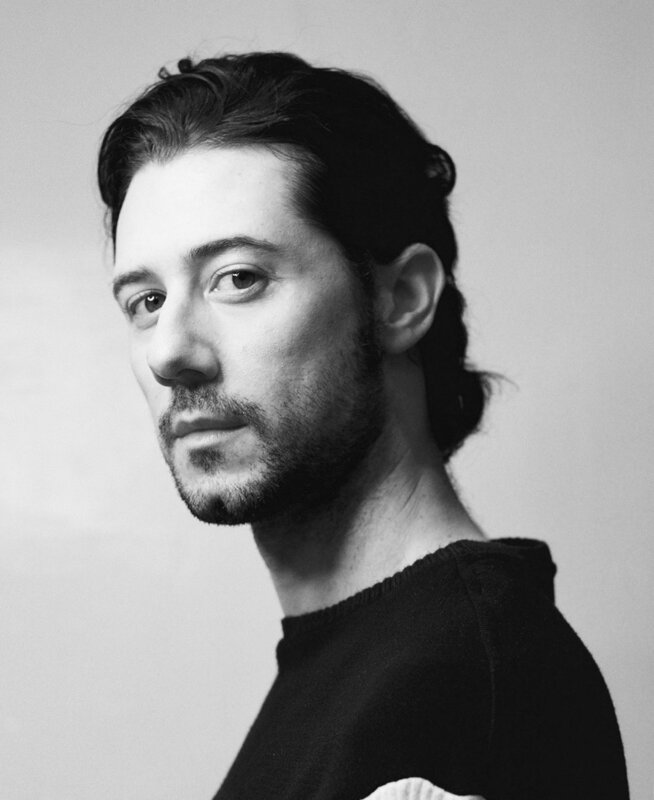 Hale Appleman has the charisma and eloquence of a seasoned actor (you may have seen him starring as Eliot in 'The Magicians' on Syfy), but his approachability and charm make it easy to forget that he isn’t a long-term friend. We spoke with Hale about his craft and love of acting, playing Eliot, and the changing landscape of queer representation in Hollywood. DRØME: What inspired you to want to act? Hale Appleman: Well, my parents are artists in their own right; my mother’s a modern dancer and performing artist, so I grew up watching all of these wild, beautiful people move their bodies in studios around the Lower East Side. My dad is a theatre nerd. Growing up I went to lots of plays — Broadway, Shakespeare, and whatever else I could find — to enrich my artistic interests. You have acted in movies, TV, and theatre; what was your first love? Theatre was definitely my first love. It’s how I came into acting. I never thought about doing film or TV; I thought I would be on stage for my entire life. Then I got this movie—it came out of nowhere. I got to act with some incredible and seasoned performers and began to really understand how a film was made. So, my life turned in a surprising direction. Recently I am allowing more room for surprise, and trying to not control too much in my life. I’m trying to be clear about what I want, what I intend, and what I want to create—and then see what ends up happening and stay open to what life brings. Do you think film is easier because you can do multiple takes, and you don’t feel like you have one shot to get it right? Yes, I would say film is the most forgiving in that sense. On TV, especially the TV show I’m on, you have only a few chances to get it right. I have established a certain rapport with the crew and the cast, and so there is a lot more trust built into the work at this point, which makes my life a lot easier. So you feel really close to the cast and crew on The Magicians? I do. There is a level of trust that is really solidified. We know each other’s strengths and weaknesses—I also have an amazing crew; it’s a group of people that work really hard, that want to be there, so the vibe is really warm and loving and trusting. I am really lucky to have a really great group of people like that. You said for The Magicians you auditioned for Penny but were cast for Eliot; I’m curious as to how that happened? I wrote all of these very specific adjectives in a journal, and about three weeks later I got the audition for Penny. I read the script, and my best friend said Pick up these books [that the pilot is based on]—they’re amazing, you should read them. I started reading and fell in love with Eliot. I had kind of a wonky audition for Penny—it didn’t feel right. After reading a little bit into the novels I just crossed my fingers that I would get called back for Eliot, and sure enough I was. I really studied the books so I think I had an edge for the part. Part of why Eliot so intriguing is that he is one of the few openly gay characters on a Sci-Fi show. Do you feel that he is breaking new grounds for queer representation? I hope so. I definitely felt that potential with him when I read the books. Getting to play Eliot seemed like it would be an incredible opportunity to say something that hadn’t really been said before in this genre. Also, homoeroticism is a huge part of the friendship between Eliot and Quentin in the books, and in the series a little bit. I think we are getting into that a little bit more in an upcoming episode, which hopefully fans of the books will be excited about. Do you think queerness coming into mainstream media is a good thing or a bad thing, or is it just a trend in itself? I think it is a good thing, undeniably. More representation in film and TV for all marginalized voices is essential if we are going to evolve as a society. I don’t think the spectrum of sexuality is a fad, so all genders and sexualities being represented on TV can’t possibly be a fad. We live in a time where there is the potential for great change in representation and people are more empowered to share their stories. So, that would be my hope, at least. It is really hopeful to see characters like Eliot, who is defined by much more than his sexuality. At first it is really easy to write him off as that one liner spewing dandy, which is fun, right? We all love the witty queen. But at some point we have to look beyond that. My favorite aspect of playing Eliot is acknowledging the cracks in his armor and the deeper layers and complexities of who he is and what he has gone through. We don’t really talk about his past in the show too much, but we allude to him having gone through a lot of trauma; to express himself the way he does, I find empowering. I am curious if it is hard being an out actor in Hollywood these days, or if you feel that a lot of the stigma has been lost in recent years.